Reliable Energy is uniquely qualified to serve as your partner and advocate in choosing your best rate option. Reliable Energy is aligned with you, the consumer. We work exclusively on your behalf to make utility rate selection and price management a simple, secure and cost effective process. We leverage the combined needs of the group we represent and we pass the resulting benefits on to you. This means better prices, better service, more flexibility and ultimately, peace of mind in knowing that your needs are ALWAYS being put first. Reliable Energy’s proven four step process is designed to make it as quick, easy and secure as possible FOR YOU in choosing the best utility rate. 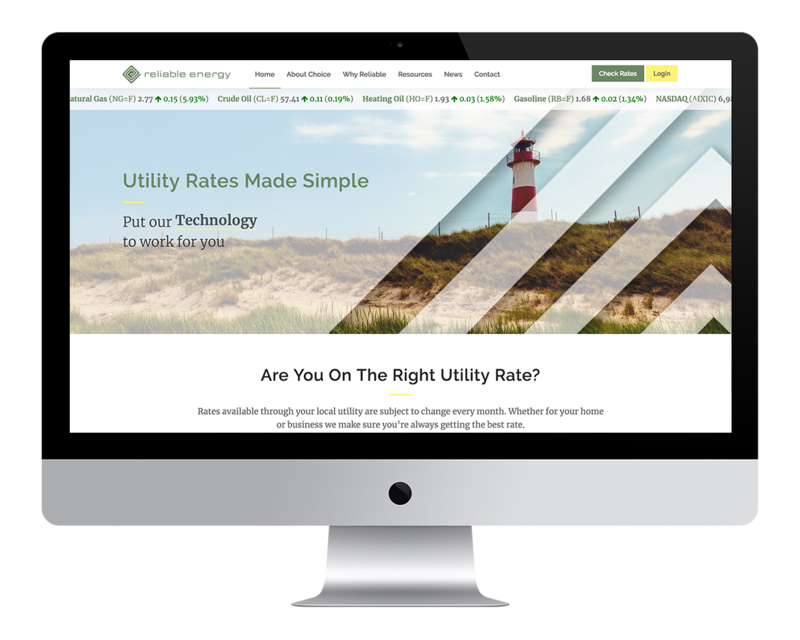 Reliable Energy’s utility rate advisor tool was developed to simplify energy buying for businesses with an open, fair and transparent platform in which to engage with suppliers and put the CUSTOMER IN CONTROL. Access your profile, accounts, charts and analysis through the Rate Advisor tool anytime. 1. To exceed our customer’s expectations. 2. To deliver products and solutions that are clear and easy to understand. 3. To communicate regularly to alert our customer’s about future rate opportunities. 5. To personalize service with experienced account representatives.